Learn How Your Family Dentistry in Brampton Caters to All Ages! Do you struggle to schedule dental appointments for your family? Has every other practice you’ve visited not had all the services you needed all in one location? Any dentist can call themselves a family dentist, but what really matters is how well they’re able to cater to patients of all ages and backgrounds. 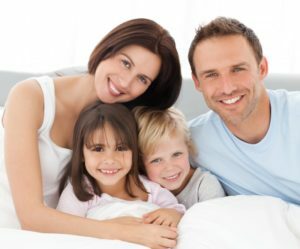 When you visit your family dentistry in Brampton, you can expect a wide array of services available at your disposal, as well as a team with the experience to perform them! General dentists will do their best to cater to any patient that comes in, but they aren’t necessarily as equipped to treat every single patient. Younger patients may be extra nervous or apprehensive to receive treatment. Patients with special needs often require additional accommodations to receive care. If a patient speaks another language, it may be more difficult to understand what problems they may be having or what treatment they seek. Family dentists are more prepared to accommodate these unique patient circumstances. They have the tools, expertise, and patience to make sure their community is satisfied with their care. It speaks volumes when patient see their dentist taking the extra initiative to meet their needs when general dentists don’t. Whether it’s your first dentist appointment at a young age or you’ve been coming for years, the service you need is more than likely available all in one location. Why schedule a visit with another practice miles away when you can get what you need from one of our many dentists? When you bring the whole family, your child can get an examination and possibly dental sealants for additional protection from cavities. Your oldest family members can get full/partial dentures or fixed bridges to replace missing teeth. Teens and adults can take advantage of cosmetic treatments like teeth whitening, porcelain veneers, Invisalign, and dental bonding to fix imperfections in their smile’s appearance. Having many services in one location isn’t only convenient for single patients. It makes scheduling multiple visits at a time that much easier. No longer should you have to schedule your youngest with a children’s dentist elsewhere. You also won’t have to worry about getting all your family’s regular checkups scheduled all at once. When you all keep the same checkup schedule, it saves you time on the logistics side of preventive oral care. This isn’t just all talk either. Scheduling appointments on Friday and Saturday is easy when you have multiple dentists to provide treatments. Schedule an appointment with us today to learn the difference your family dentistry in Brampton can offer! Dr. Vince Fava earned his Doctor of Dental Surgery degree from the University of Toronto. After graduating, he received additional training in surgery, anesthesia, and managing medically compromised patients. This gives him the expertise to treat a wide range of issues patients have. To learn more about his practice, contact him through his website. Comments Off on Learn How Your Family Dentistry in Brampton Caters to All Ages!